She is an elegant lady of Roman royalty, ready to represent her family. 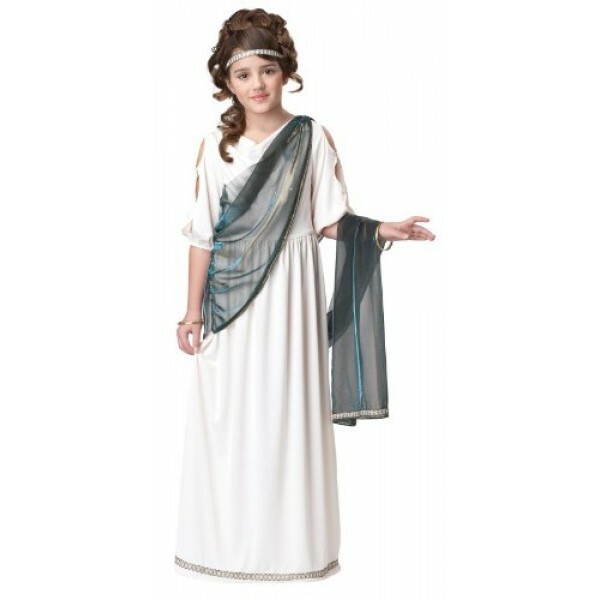 This beautiful noble Roman girl costume includes a dress with attached drape and a headpiece. Please note: jewellery and shoes not included.